The forthcoming General Data Protection Regulation (GDPR) and its impact on fleets is to come under focus at a webinar being hosted by ACFO next week. 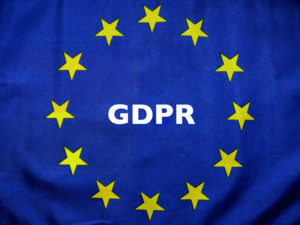 The second in the association’s new series of webinars – which replace its previous regional meetings – the ‘GDPR: What every fleet decision-maker needs to know’ webinar takes place on Friday 23 March at noon and will provide members with a comprehensive insight into GDPR and its effect on company car and van and ‘grey fleet’ operations and drivers when the rules become effective on 25 May. The webinar will be hosted by ACFO regional chairman Julie Summerell and regional secretary James Pestell, who will be joined by Beverley Wise, sales director UK and Ireland, TomTom Telematics, which is supporting the webinar. Registration is via the ACFO website at www.acfo.org. The webinar will also be available as a download from the ‘members’ area’ of the website and will be accompanied by a toolkit containing relevant guides and resources.